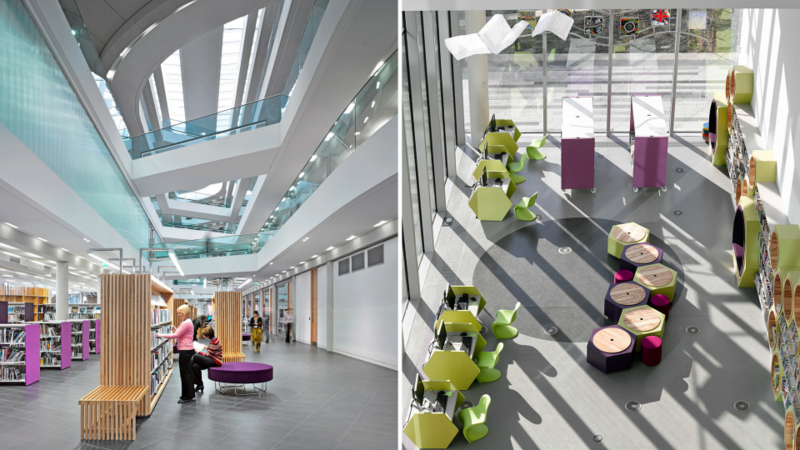 Number One Riverside is a multi-use public building which consolidates numerous council buildings into one incorporating the central library, customer information point, meeting rooms and conference facilities. 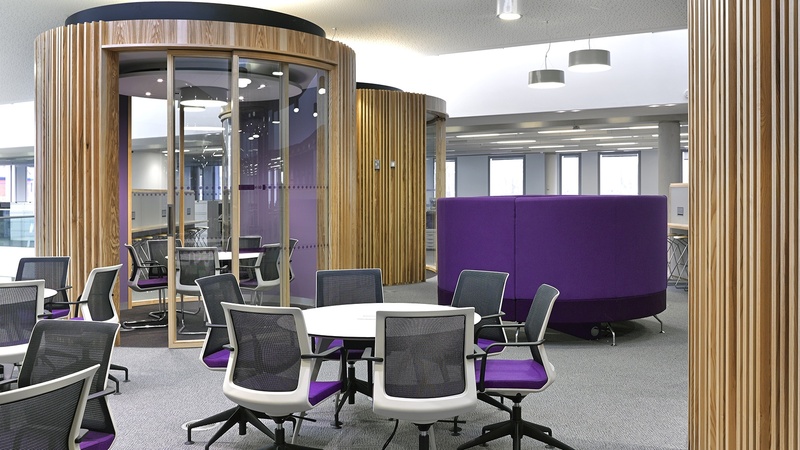 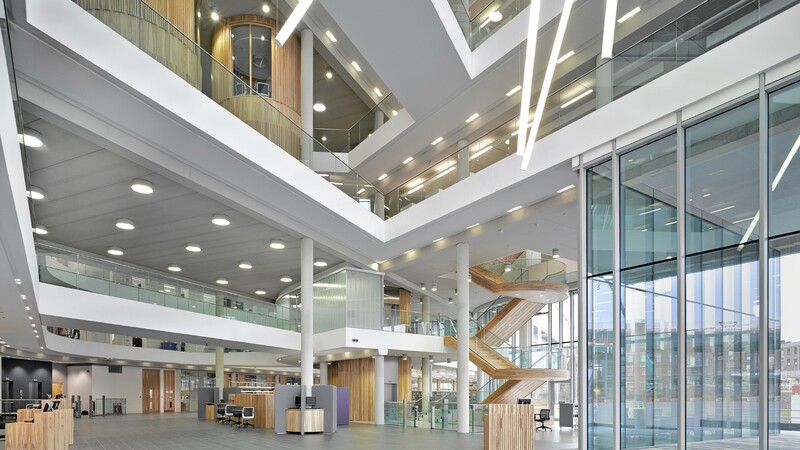 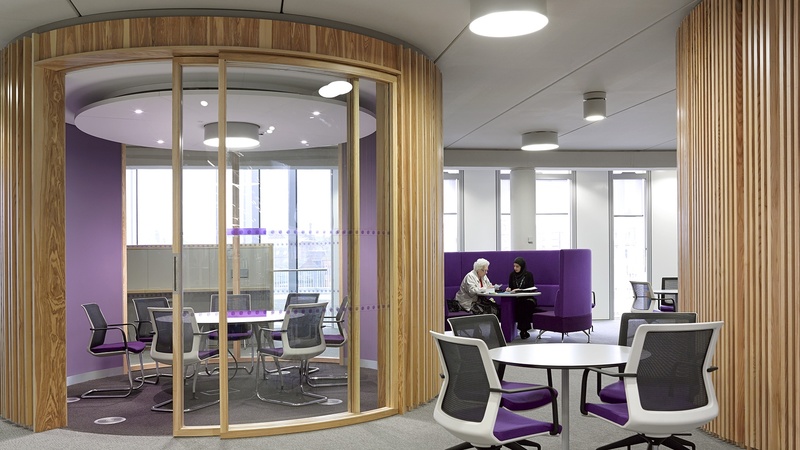 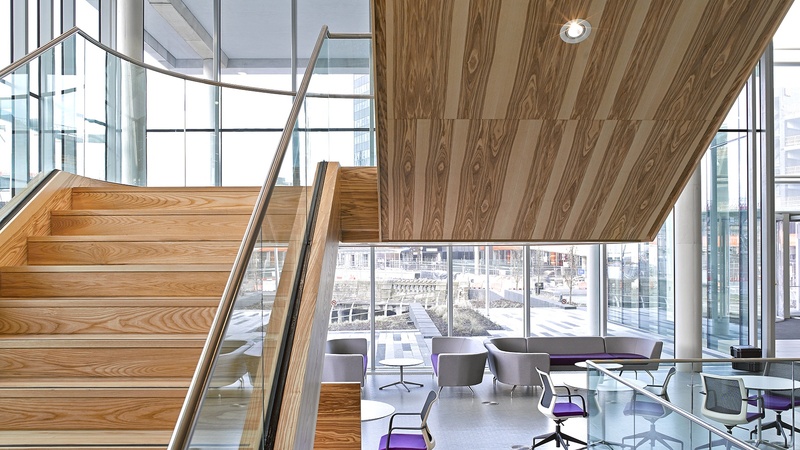 Gariff’s scope of works included creating acoustic rated olive ash radius meeting pods, ash clad bespoke feature staircase and all reception & information desks. 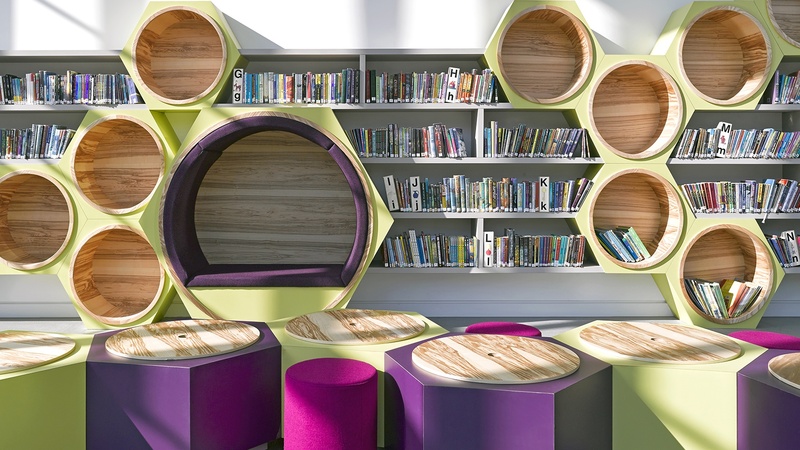 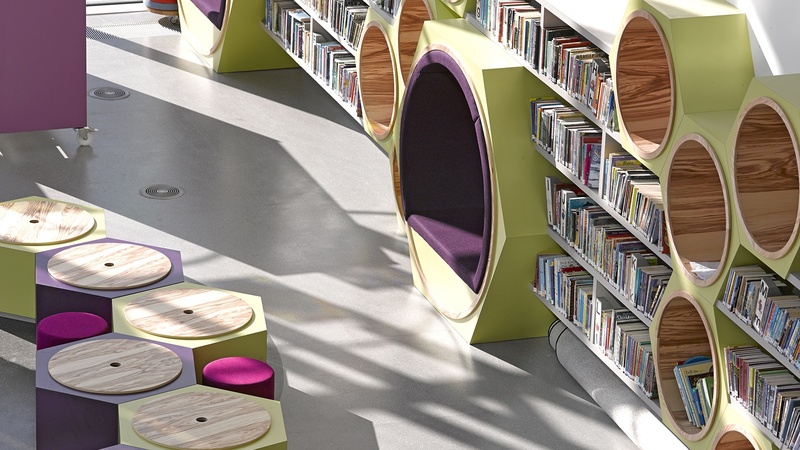 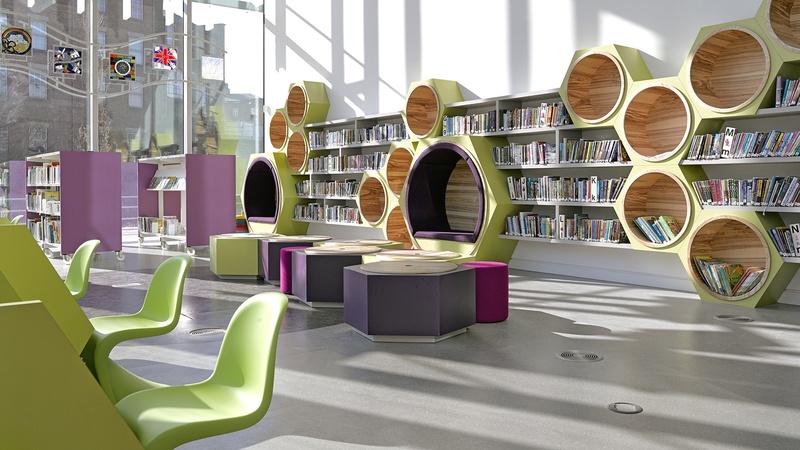 Works to the library areas involved constructing bespoke book display units and a feature children’s area with striking honeycomb bookcase incorporating upholstered seating. 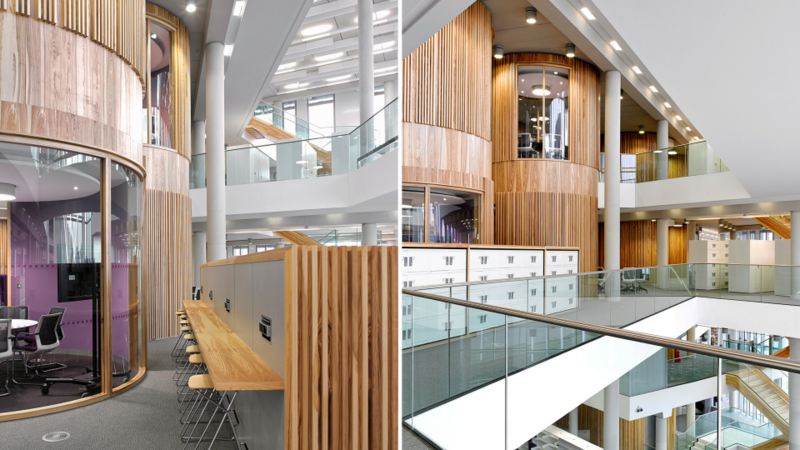 Upwards of 130 toilet facilities and all QMark fire rated & acoustic doorsets were also installed. 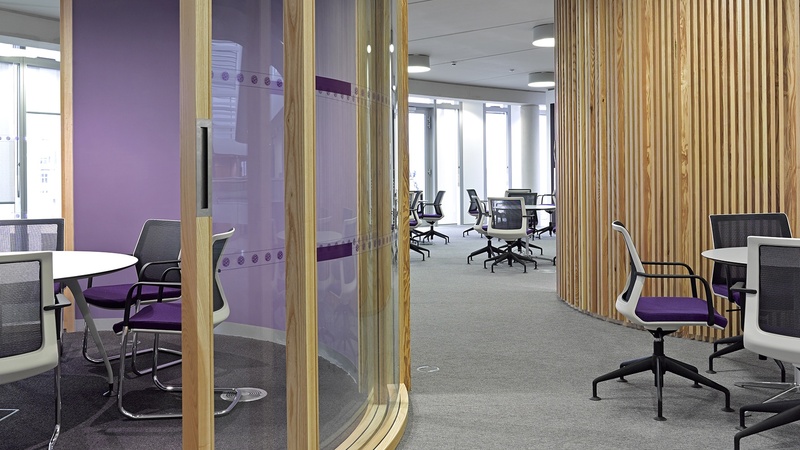 Other zones worked on included classrooms, sound-proof interview rooms, multi-faith facilities and security areas.